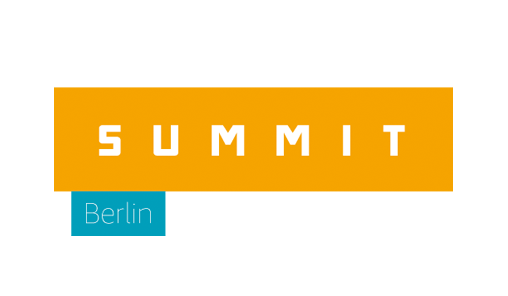 The AWS Summit brings together the cloud computing community to connect, collaborate and learn about AWS. In this action-packed, one-day event, you can choose from more than 60 breakout sessions covering a broad range of topics and technical depth. Attend introductory sessions on new and existing AWS services or participate in sessions that go deep into architecture and code. All sessions will be delivered by subject matter experts from AWS or expert customers who can share their real world experience and lessons learned. 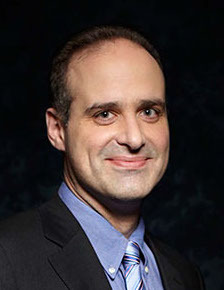 Stephen Schmidt is Vice President & Chief Information Security Officer for Amazon Web Services (AWS). His duties at AWS include leading product design, management and engineering development efforts focused on bringing the competitive, economic and security benefits of cloud computing to business and government customers. Prior to joining AWS, Schmidt had an extensive career at the Federal Bureau of Investigation, where he served as a senior executive. His responsibilities at the FBI included a term as acting Chief Technology Officer and he oversaw the FBI’s Cyber Division components responsible for the technical analysis of computer and network intrusion activities, including malicious code analysis, and exploitation tool reverse-engineering. 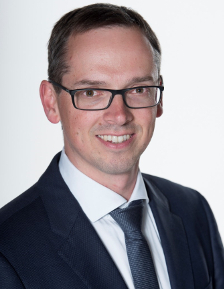 Oliver Krülle is CIO of DB Vertrieb since 2014. A proactive leader with excellent business, and outstanding record in managing and developing innovative IT projects, Oliver is responsible for ICT Strategy, -governance, enterprise architecture management and IT portfolio management for the sales division of one of the world’s largest logistics and transportation company. Previously as Director of IT Sales and e-/m-Commerce, he co-founded Europe’s most successful e-commerce travel platform, bahn.de (bringing in a revenue of 3 billion € per year). He had introduced and spearheaded the UIC Online ticketing standard. Oliver was also responsible for the successful introduction of the mobile Ticketing in Germany in 2006 as well as the development and deployment of the Chipcard eTicketing system for DB Germany. He has extensive experience and proven success in leading strategy and developing new IT business channels. He is occasional guest speaker for the Institute of IS Research at University Koblenz-Landau and was previously guest professor at the TU Esslingen’s Graduate School. 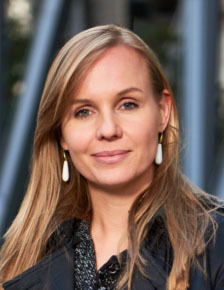 Ella Rabener is the CMO of Scalable Capital and a co-founder of the UK business. Before joining Scalable, Ella was the Co-founder & CEO of Westwing.ru, a shopping club for home & living products. She grew the business into the leading destination for interior design products in both Russia and Kazakhstan. Prior to her role at Westwing, Ella was an Associate Partner at McKinsey & Company, where she spent two years advising clients on Risk Management before focusing on consumer goods & retail clients. Ella worked in McKinsey’s New York, Dubai, Munich and Cologne offices. She holds a doctoral degree in Business Administration from the European Business School in Oestrich-Winkel, Germany, one of Germany’s top 3 private universities. Bert Depiere is a digital innovator and business leader at GROHE, the world’s leader in sanitary fittings. He holds a master degree in industrial sciences specializing in electronics & ICT and in business administration. The past years he headed category management for showers, thermostats and bath faucets, (re)launching key powerbrands like Eurosmart, Tempesta and Grohtherm & Shower Systems. Today he is director digital innovations and driving engine behind GROHE’s most visible digital transformation initiative: GROHE Sense & Sense Guard – the complete water securtiy system – GROHE’s first steps into IoT & Cloud technology. Ralf works on problems of demand forecasting, scalable machine learning, computer vision and linking structured content. In 2011, he worked at Facebook leading the Unified Ranking and Allocation team. From 2000 - 2011, he worked at Microsoft Research and was co-leading the Applied Games and Online Services and Advertising group which engaged in research at the intersection of machine learning and computer games and in the areas of online services, search and online advertising combining insights from machine learning, information retrieval, game theory, artificial intelligence and social network analysis. Ralf was Research Fellow of the Darwin College Cambridge from 2000 - 2003. He has a diploma degree in Computer Science (1997) and a Ph.D. in Statistics (2000). 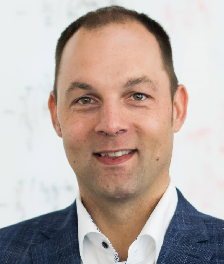 Ralf¹s research interests include Bayesian inference and decision making, computer games, kernel methods and statistical learning theory. He is one of the inventors of the Drivatars system in the Forza Motorsport series as well as the TrueSkill ranking and matchmaking system in Xbox 360 Live. He also co-invented the adPredictor click-prediction technology launched in 2009 in Bing¹s online advertising system. Digitization – From Code to Culture, from Startup to Enterprise: Learn how Customers Embark on Their Digital Journey! Cloud Adoption and Cloud First — What Do You Need to Consider for an Effective Cloud Usage? Next Generation Applications – Serverless, Microservices, Artificial Intelligence, Alexa: The Future is Here! At Cloudreach we support many large companies with their journey to the cloud, and for many of them, who had embraced the cloud for a certain time now, consolidating their development effort becomes a vital requirement in order to keep innovating and take the full advantage of the latest cloud technologies. This talk is about going “Cloud Native” or how to enable agile software deployment. From assisting different teams in early phases of application development to building and managing a common platform able to sustain an overly growing number of complex services and feature rich applications. Starting a greenfield, multi-tenant approach on the cloud is a journey, requiring a thoughtful strategy to optimize the many benefits enabled by cloud. This track is for anyone interested in the key considerations around technology, people, process, and business to enable organizations to build a successful multi-tenant cloud ecosystem. We will shed light on how to sow the right seeds and then nurture the flowers on their greenfield - to harvest the honey after 12 months. In this talk, the team from Deutsche Bahn will present their concept for a highly-secured cloud administration environment. We’ll show, how we integrated AWS IAM with our On-Premise Identity Management and how we use AWS Workspaces to transform traditional network based security concepts into the cloud era. With the enforcement of multi factor authentication, strict isolation of administrative clients, abandonment of static access keys and a hierarchical IAM role concept, we realized a scalable approach for achieving a high level of access control when performing security-critical actions in the cloud. The talk will highlight some typical security requirements for privileged access and provide best practices for the implementation using AWS services. With innovative solutions and concepts for the future, we are collaborating with selected partners in the initiative “Smart Rural Areas” on better exploiting the potential offered by life in the country. With new concepts, we want to bring rural life from the sidelines into the fast lane and thereby make it just as attractive as the model of a future life in “Smart Cities”. In this talk, we are focusing the research project “Digitale Dörfer”. We share the lessons that we learned while going from an initial research idea through to a running prototype that serves all citizens of three municipalities with about 40,000 potential users. We combined different AWS services, mainly Elastic Beanstalk, to efficiently run our set of prototypes, consisting of three different apps, smart shelves and a web shop. We transformed our team of researchers into dev-ops specialists within one year. The definition of scaling your 3rd party security on AWS can vary depending on the use case and the volume of workloads under consideration. Very dynamic deployments will benefit from integration with Auto Scaling and Load Balancing, ensuring resources are protected, yet used cost effectively. Deployments with a very large number of VPCs may benefit from a either a shared security services model or a co-location deployment. In this session, we will walk through considerations and architecture recommendations for scaling 3rd party security on AWS. One of the most important factors behind successful companies in a customer-centric world is a high innovation rate. Only if companies frequently and promptly add new functions and services to their applications will they remain competitive in the long term. New IT operational concepts such as DevOps enable decision-makers to meet these needs and respond at the required speed. On the basis of specific projects we will show how DevOps and an agile deployment can be realised in a short period of time with AWS. Despite a high level of expectation, IT is able to react to the requirements of the specialist departments more effectively and guarantee a faster time to market. As businesses adopt new technologies like Big Data, Mobile, IoT, etc. in the Cloud, they often struggle with adapting their organizations to the speed of new technology. This talk shares organizational principles, mechanisms and best practices that we learned at Amazon over the past 10+ years, that enable us to move fast, innovate quickly and combine the best of the startup and enterprise worlds. The Bayer Digital Farming team in the company’s Crop Science division has a mission: to empower farmers to take smarter decisions and contribute to solving the challenge of feeding a growing world population and at the same time reduce the environmental footprint. Bayer uses data from satellites, drones and ground sensing combined with proven agronomic logics to optimize crop protection, make every drop count and offer great convenience to growers. Learn how Bayer leverages an AWS-based, cloud-only implementation approach to allow for highly scalable data management and processing as well as to serve a growing number of customers. At Amazon, Innovation is driven bottom-up, by culture and mechanisms. The Digital Innovation Program by AWS aims at sharing with our customers the Amazon DNA of Innovation. Working backwards from the customer, the program jumpstarts a customer’s Digital Innovation journey, in which we help customers to shape a vision, identify a specific new product or service and build executive commitment through a Press Release. Together with partners we have created packages to enable customers on how to rapidly build a MVP, set-up a cross-functional team and bring that new product or service to market while building capabilities to execute through an iterative DevOps operating model. Leveraging cloud solutions and Intel edge technologies helped several customers deliver innovative business models. DevOps is one ingredient used to increase a businesses agility and reduce the time-to-market for new products. While being common in start-ups it still feels strange to many enterprises. This talk gives an anecdotical overview of the typical obstacles that teams face when they seek to establish DevOps in an enterprise. Also, it hopes to motivate them to not give up in their attempt to change the world for the greater good. British Airways subsidiary Aer Lingus runs its reservation site on AWS, leveraging ELB for load balancing. British Airways uses Logz.io, an AI-powered log analysis platform offering the open source ELK Stack as a enterprise-grade cloud service with machine learning. BA uses the stack’s Kibana component to create visualization dashboards to monitor traffic and API usage by external websites and third-party ticket sellers to identify heavy users and offenders who are abusing or attacking the system. As a result, BA can see the locations of requests, detect scrapers, and stop hackers who are trying to penetrate the airline’s security protocols. In a world of ever shorter product life-cycles, increasing product variety and demanding customers, manufacturers must become even faster and even more agile. Find out how Actyx leverages the AWS Cloud to help European factories compete in the face of these challenges. By enabling transparency, optimizing efficiency and increasing agility. This talk describes Deutsche Börse's journey from Subversion to GitHub Enterprise on AWS within just a couple of months. The disruptive change did not only involve a huge migration effort from version control and ticketing systems but also a change to a cloud based infrastructure and agile development mindset. Learn about the cultural and technical challenges faced during that journey and how they got solved in record time. HERE is one the world’s leading map data companies and is now able to deliver the next generation of mobility and location-based services. HERE software serves map, traffic and location data to a variety of target platforms, HERE Open Location Platform, Embedded Automobile Navigation, Enterprise Extensions and Mobile Apps. HERE’s Challenge: HERE needed a CI system that could meet complex and heterogenous deployments and releases that could scale. The Presentation discusses how HERE have managed the transition to the Cloud, an overview of HERE’s CI / CD System on AWS and a summary of the main challenges HERE faced in the process. Join the innovation team from Siemens to learn how they use AWS & AWS Marketplace to create innovative architectures for key business challenges. Learn how Siemens deployed Matillion to deliver an ETL/ELT competence center to business analysts whilst exposing the Redshift data warehouse platform to cross-functional business units including engineering, procurement, sales, quality management, and exec management with intuitive visualisations from Tableau. The AWS Cloud is a powerful business enabler, and choosing the right cloud migration path is the first step toward getting the most from your AWS investment. Many businesses are looking to take advantage of all that the AWS Cloud has to offer, but are unsure which path they should take to get there. At Rackspace, we pride ourselves in our ability to help businesses tackle these tough decisions by providing the guidance and best practice expertise businesses need to enable their journey to the AWS Cloud. This session will provide an overview of the AWS Well-Architected Framework, which enables customers to review and improve their cloud architectures and better understand the business impact of their design decisions. The Framework addresses general design principles, best practices, and guidance across five pillars: Security, Reliability, Performance Efficiency, Cost Optimization, and Operational Excellence. Organizations moving to the cloud often face the question – how to leverage their third party software portfolio in the cloud. AWS Marketplace makes it easy for customers to find, buy, deploy and manage software. Customers can choose cloud-ready software solutions, including SaaS, and deploy these in a matter of minutes. In addition to the agility and speed of AWS infrastructure, all products are reviewed and vetted, which makes it easy to confidently deploy solutions. Join Richard Sappé, Senior Business Development Manager of AWS Marketplace, who will provide AWS Customers and AWS Partners an introduction to AWS Marketplace. Amazon EC2 Spot instances provide acceleration, scale, and deep cost savings to run time-critical, hyper-scale workloads for rapid data analysis. We will dive into best practices and new features that will help you realize immediate cost savings, maximize compute capacity within your budget, and maintain application availability and performance with less up-front and ongoing development effort. Attendees leave with practical knowledge of Spot bidding strategies, Spot market price trends, instance selection, and fault-tolerant architectures for web services. Amazon Virtual Private Cloud (Amazon VPC) lets you provision a logically isolated section of the AWS cloud where you can launch AWS resources in a virtual network that you define. In this talk, we discuss advanced tasks in Amazon VPC, including the implementation of Amazon VPC peering, the creation of multiple network zones, the establishment of private connections, and the use of multiple routing tables. We also provide information for current Amazon EC2-Classic network customers and help you prepare to adopt Amazon VPC. The AWS Cloud Adoption Framework (AWS CAF) helps organizations of any size understand what skills and processes change with Cloud adoption, and how to best enact those changes. The AWS CAF is based on our experiences assisting organizations around the world with their Cloud Adoption Journey, and version 2 now represents refinements based on our ongoing experiences and lessons learned. Customers usually start their journey with a hybrid strategy involving their data center and the cloud. This allows them to quickly leverage the benefits of AWS. As customers shift to a cloud-first strategy, the amount of workloads will grow until the question arises on what to do with the remaining applications in the data center. This session is about moving those applications into the cloud. Obviously, this comes with a unique set of challenges. We will cover important aspects, best-practices and methodology on how to move even thousands of servers reliably to AWS. AWS Organizations is an account management service that enables you to consolidate multiple AWS accounts into an organization that you create and centrally manage. Using e.g. Service Control Policies (SCPs) you can centrally control AWS service across multiple AWS accounts. IAM policies that grant users and roles permission to create or modify the specific resources and API actions they'll need. Using AWS Organizations and IAM policies sensible, structured and well organizes, enables you to manage and run a secure cloud environment! No matter if a business is born in the cloud or moving to it, they have employees who go to work someplace. Often, employees are forced down roundabout paths to their applications which have moved from the datacenter to the cloud. No more – with the right solution, the cloud is closer than you think. See how the benefits of Software-Defined Networking combined with automation can fundamentally change how you connect your company together and to the cloud. Enterprises have to observe extensive security and compliance regulations. Implementing such regulations is complex and error prone. In this talk, Jeremias and Thomas from the German ProServe team explain how to use a test driven approach to security and compliance, which can immediately pinpoint such misconfigurations and thereby help customers to create and maintain an automated security and compliance monitoring environment that conforms with both internal and external regulations. Digital Transformation is happening now, and it won't spare you and your company. Adapting and reinventing your business model is key if you want to compete with the digital start-ups. For your IT the challenge is to introduce digital technologies and innovation like Social Media, Big Data Analytics, Smart Devices, Internet-of-Things to support agile processes and could-native applications. Furthermore, you need to bring your enterprise grade workloads like SAP etc. into the cloud with the challenge of mass migrations… and on a global scale. SAP Hybris started on AWS its microservice offering under YaaS.io. This talk will show how SAP Hybris used the flexibility and the build in tools to reach the goal to be fast at market and also how it helped us to create a flexible environment for digital transformation for our customers with microservices, AWS build-in features to operate in DEV/OPS mode. Role and advantages of cloud in today's IT environment, meaning and impact of a "Cloud First" strategy, Cloud Enablement Framework (a future fit process and operation model for cloud lifecycle management), insights into cloud adoption in the German industry. Innovation is essential to keep pace with your customer's demand. It requires the ability to experiment and deliver features and fixes securely at high velocity: As soon as an enhancement is ready it should be pushed to all users instantly. This session presents Amazon's steps towards continuous deployment. It demonstrates the tools which emerged from that journey and are now available to all AWS customers: AWS CodePipeline, AWS CodeCommit, AWS CodeDeploy, and the recently announced AWS CodeBuild and AWS CodeStar. Learn how acclaimed photo-sharing startup EyeEm runs their deep learning infrastructure to cost effectively and reliably go from zero to 1000 photos per second with a multi-region setup. We’ll give an overview of deep learning at EyeEm, and how we use it to build our products, including how we use it for search, image captioning and aesthetic ranking. As part of this process, we moved from a self-managed Hadoop cluster to Amazon EMR, which allowed us to run our analytics pipeline crunching billions of events generated when recognizing the content and the aesthetic quality of over 1B photos, with the added benefit of reducing our AWS bill by 10%. AWS Technologies used: EMR, Redshift, CloudWatch, EC2 GPU machines (Auto Scaling, Spot instances, RIs), S3, ELB, Multi-Region. Amazon Polly is a service that turns text into lifelike speech, making it easy to develop applications that use high-quality speech to increase engagement and accessibility. In this session, you will learn how to voice your application for various use cases. We will demonstrate how AWS developers can integrate with Polly for runtime and offline speech generation. We will also share some best practices for handling various text structures and for optimizing the user experience. The flexibility of AWS enables you to tailor your approach for architecting a Data Lake. AWS provides you with secure infrastructure and offers a number of scalable, cost-effective storage, data management, and analytics services to turn heterogeneous data into new meaningful insights. Hosting your Data Lake on AWS gives you access to the most complete platform for Big Data. Furthermore, a Data Lake isn’t meant to be replace your existing Data Warehouses, but rather complement them. If you’re already using a Data Warehouse, or are looking to implement one, a Data Lake can be used as a source for both structured and unstructured data, which can be easily converted into a well-defined schema before ingesting it into your Data Warehouse. A Data Lake can also be used for ad hoc analytics with unstructured or unknown datasets, so you can quickly explore and discover new insights without the need to convert them into a well-defined schema. In this talk, we will cover best practices and reference architecture and cover the key tenants of a Data Lake such as: (a) Decoupling data from compute, (b) Collecting and storing any type of data, at any scale and at low costs, (c) Securing and protecting all of data stored in the central repository, (d) Searching and finding the relevant data in the central repository, (e) Quickly and easily performing new types of data analysis on datasets and (f) Querying the data by defining the data’s structure at the time of use (schema on read). As we add thousands of skills to the skills store our developers have uncovered some basic and more complex tips for building better skills. Whether you are new to Alexa Skill development or if you have created skills that are live today, this session will help you understand and learn best practices. During this session, you’ll build an Alexa skill using more advanced VUI concepts and we’ll cover how to use AWS services like dynamoDB and S3 to implement the best practices we cover. Serverless architectures come with many advantages. Taking the example of a fleet of IoT devices, this talk focuses on the almost limitless scalability of such architectures. The talk describes the typical building blocks such as Kinesis, DynamoDB, and Lambda and shows how these services can be combined into a fully functional system that scales seamlessly with the number of devices. Thereby, serverless architectures help to remove risks that used to come with the productisation of innovative ideas. In this session, you will learn best practices for implementing simple to advanced real-time streaming data use cases on AWS. We will take a look at streaming data architecture patterns that include Amazon Kinesis Analytics, Amazon Kinesis Firehose, Amazon Kinesis Streams, Spark Streaming on Amazon EMR, and other open source libraries. Next, we will dive deep into the most common of these patterns and cover design and implementation considerations. Finally, Christian Deger from AutoScout24 will share the experiences they’ve made running their real-time application stack in production and share the reasoning for their choice of technology. In this session, we discuss the capabilities of Amazon Kinesis Analytics using real-world examples. We’ll present an end-to-end streaming data solution using Amazon Kinesis Streams for data ingestion, Amazon Kinesis Analytics for real-time processing, and Amazon Kinesis Firehose for persistence. We review in detail how to write SQL queries using streaming data and discuss best practices to optimize and monitor your Amazon Kinesis Analytics applications. Microservices is a software architectural method where you decompose complex applications into smaller, independent services. Containers are great for running small decoupled services, but how do you coordinate running microservices in production at scale and what AWS services do you use? In this session, we will explore the reasoning and concepts behind microservices and how containers simplify building microservices based applications. We will also demonstrate how you can easily launch microservices on Amazon EC2 Container Service and how you can use ELB and Route 53 to easily do service discovery between microservices. As customers build and run production microservices architectures based on containers, having powerful tools to manage the placement and scheduling of these workloads is critical. Amazon ECS allows customers to focus on building their application and removes the need for managing the cluster management software entirely. This session will focus on the capabilities of the new ECS task placement engine, the built-in ECS schedulers, and explore how customers can build custom schedulers using the ECS event stream and Blox, a newly announced open source scheduling framework that gives developers additional choice and control in how they manage containers in production. As a world leader in sanitary fittings and German “Mittelstand” Company, GROHE is launching GROHE Sense - spearhead of its digital transformation. Using AWS infrastructure and Reply as Consultancy and Implementation Partner, GROHE is able to launch a complete water security system for the residential segment to help minimizing the biggest problem in the house: water damage. Based on this use case, we will give you a high-level overview and insights into a State-of-the-Art architecture for an IoT Platform on AWS. GraphQL APIs have become the new standard for modern applications and are pretty well understood when it comes to querying and mutating data from the frontend. However designing reactive backend applications is still a fairly unexplored topic. In this talk I'll give an introduction on how to design event-driven backend applications combining a Serverless Architecture with GraphQL. Processing large report documents and a great amount of pricing quotes in the financial industry is usually done by financial analysts. In their talk Vahe and Max will present an AI based solution to automatize the processing using Deep Neural Networks. Having a straightforward, easy-to-use solution for setting up prototypes is essential to quick and cost effective development. This is core to business at WATTx, where team members regularly ideate and validate to found deep tech ventures. In this tech talk, Martin Unger (CTO of WATTx) will explain how WATTx has created the flexible infrastructure that supports this business model. At the base, AWS services enable automatic monitoring, therefore requiring a leaner development team with fewer DevOps and administrative competencies. Martin will walk the audience through the whole process of setting up the initial infrastructure for a new venture based on the example of their first venture “Snuk“ - from evolution of the initial concept to prototype. The unprecedented scale at which data is consumed and generated today has given rise to scalable NoSQL database systems. In this talk, we give an in-depth survey of the most relevant NoSQL systems to provide comparative classification and highlight open challenges. In particular, developers frequently consume data directly from single-page and mobile applications. To allow this, high network latency and access control need to be solved. This can be addressed with NoSQL technologies and a popular caching approach from research to tackle latency. Based on these ideas the Backend-as-a-Service Baqend develops a scalable, low-latency cloud service for building and hosting data-driven web applications. For illustration, we will present Baqend's AWS architecture and share our lessons learned in building scalable NoSQL architectures. In the world of deterministic devices and real time requirements, connecting the shop floor to AWS through the internet seems risky and pointless. The partnership of Beckhoff and AWS proves otherwise and shows the potential value of connecting Beckhoff components to the AWS cloud. It opens up a new world for Beckhoff customers that will allow to leverage every piece of data to create new opportunities for manufacturers. Sven will walk you through different internal and external AWS use cases, that Beckhoff has performed. Enfuce has implemented a payment infrastructure built on AWS platform that enables us to offer true scalability and fast time to market in a highly regulated industry. We have together with our partners implemented the first full scale issuing and payments platform in a public cloud! Enfuce’s goal is to become the number one choice for customers looking to succeed within the financial sector, starting with the Nordics and expanding rapidly to wider in EMEA markets. “Our overall strategy is to be a hub and an integrator. We want to be a service provider that enables our customers to offer new, innovative, safe and convenient products and services to their customers and partners"
SKF is actively working on become digital while handling a massive business as one of the world’s largest bearing and seal manufacturers. How does a company with a lot of legacy and a very analog core business transform into an organization who is creating intelligence out of data and striving to transform into an agile digital player? Jens will walk you through some examples at SKF. AWS Step Functions is a new AWS service that provides an easy and reliable mechanism for coordinating the components of distributed applications and allows you to step through the functions of your micro-services using visual workflows. This session highlights how Home24 is using AWS Step Functions to build and run multi-step applications to coordinate steps required to import diverse external data into our new data platform.